I have five more almost finished so I should have them done tonight. That only leaves five more to go and I can start putting them together! Can't wait to see this one finished up. 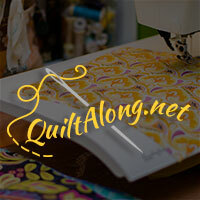 I also got the last sewing machine done for the Quilter's Garden Row BOM Swap. This week I'll find out who gets my swap blocks and get them sent. Once I receive mine, I'll be able to assemble the first row. These are so cute and the next row is adorable, however, Deana is seriously pushing my piecing abilities with her designs. If nothing else, I'm learning A LOT! It's not too late to join in, y'all! 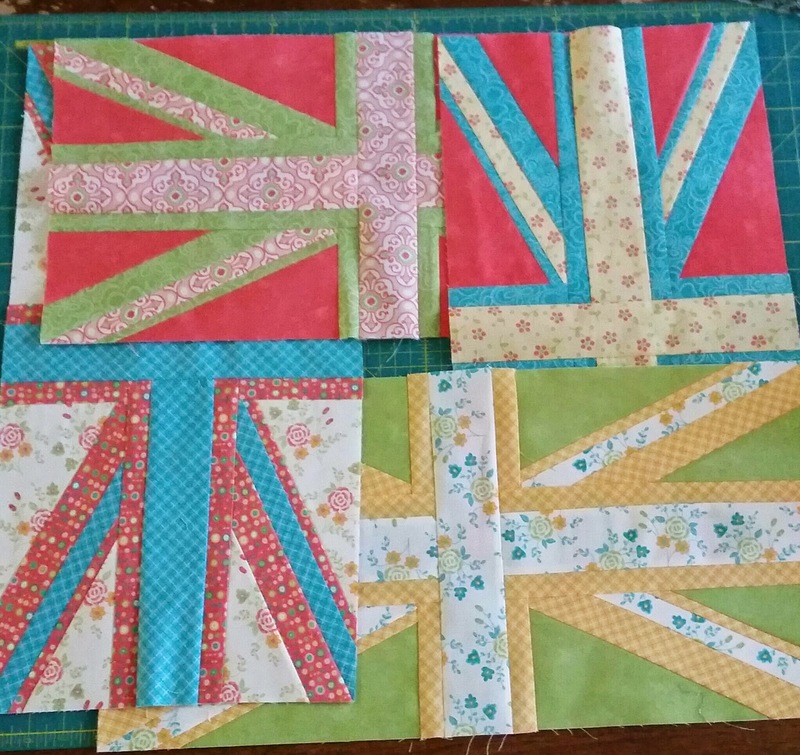 Linking up with Patchwork Times and Freshly Pieced. Cute sewing machine block. 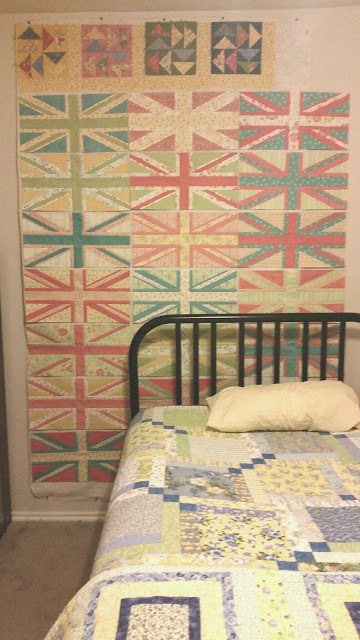 I like the colors in your Union Jack blocks, too. It is going to be a beautiful quilt. Feel Better! You are still stitching even though you are sick, That's Passion! The Quilter's Garden Swap is very tempting. I like the sewing machine! 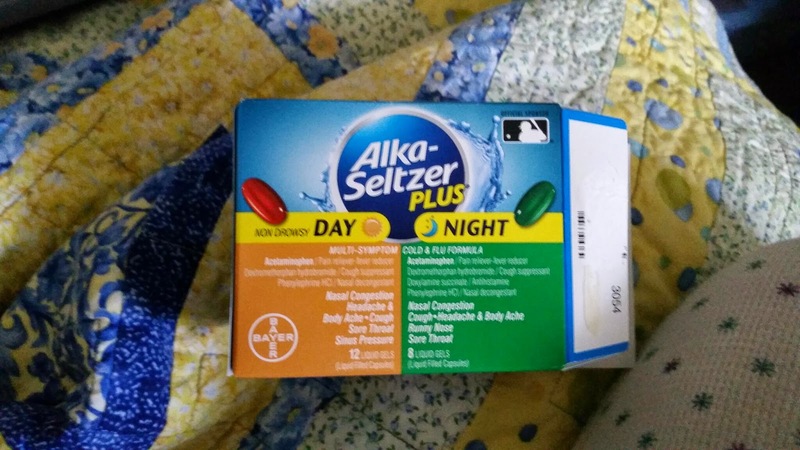 Sorry you have been sick. I hope you are doing better now. I am still loving those Union Jack blocks come together. Mary's right... 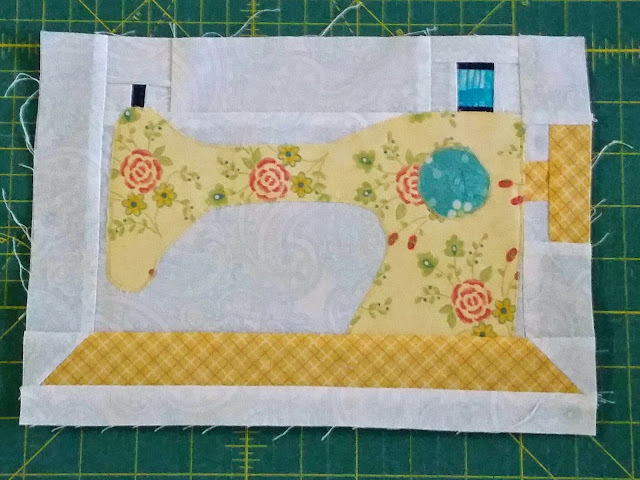 The Quilter's Garden Swap is very tempting, if the sewing machine row is any indication of what the rest of the blocks will be like. Hope you feel better soon!